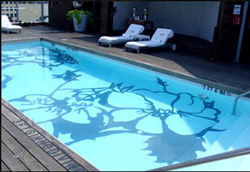 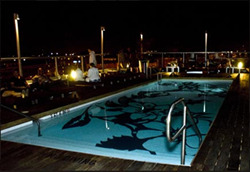 The original concept for this rooftop lounge pool was to install glass tile to create the mural. However, glass tile was extremely costly and posed a possible safety hazard to the hotel guests. 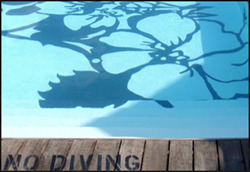 ATS Studios' solution was to use a specially designed product to paint the mural on the bottom and sides of the pool, creating the same feeling as the original design, but at a third of the cost. 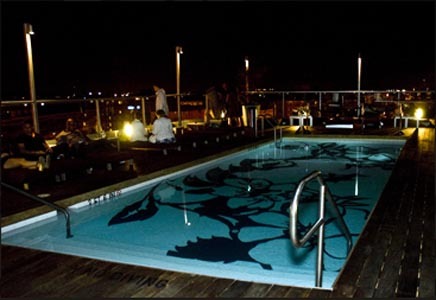 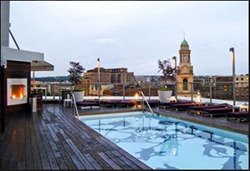 Today, this private rooftop pool provides a distinctive backdrop for a variety of events.